Hot air balloon rides are definitely not cheap! You need to be prepared to spend some money on this activity. Depending on the length of ride and the package you choose, average prices start a little over $200 per person and go up from there. Check out your chosen vendor carefully and see if they offer any kind of a package deal, especially if you’re booking for several people. Riding a hot air balloon in the sky is fun. However, harsh weather conditions might interfere with this activity. This is the reason why you should check the weather before riding your hot air balloon. Rain, wind or inclement weather definitely affects whether or not the balloon will be able to fly and your flight may be cancelled. Hot air ballooning is typically not something you do alone. Others will be will be riding the hot air balloon as well. Small baskets usually hold 2-4 people and large baskets can fit as many as 10-14 people. Enjoy meeting some new friends during your adventure! It is important that you do your research before engaging in this activity. You should know how long the company has been in operation, and review it’s customer service and safety records. Make sure to confirm that a company is safe and verify they are licensed, bonded and insured before you put your life and health in their hands. If you want to be right in the middle of the Smoky Mountains, check out hot air balloon companies in the Asheville area. Take a few minutes to plan what you will wear on this activity. Be ready for a fair share of bumps on this ride so plan to wear appropriate clothes such as shorts, pants, etc. It is not advisable to wear skirts for this activity. If it happens to be chilly, bring gloves and other warm clothes or tie a sweatshirt or sweater around your waist so you can put it on as necessary. Remember that the higher you go, the chillier it gets! Also, don’t forget your footwear! Sneakers or other non-slip footwear is recommended. Sandals or flip-flops aren’t recommended for this ride. Riding in a hot air balloon is a photo-opp-extraordinaire! You will be able to capture some breathtaking views and some great candid shots! These will be memories of a lifetime and photos you will treasure! Make sure you have a fully charged battery and bring a back-up battery if possible. Some people might think that a couple drinks before riding in a hot air balloon would make it more fun, however, this can make it very dangerous! It will actually alter your balance and perception and can put you and other passengers at unnecessary risk! Remember that riding a hot air balloon is a high adventure activity and trying to be more adventurous can actually be detrimental and dangerous for everyone on the ride. A better idea is to plan an after-ride cocktail so you can sit back, recap the experience and enjoy the experience! 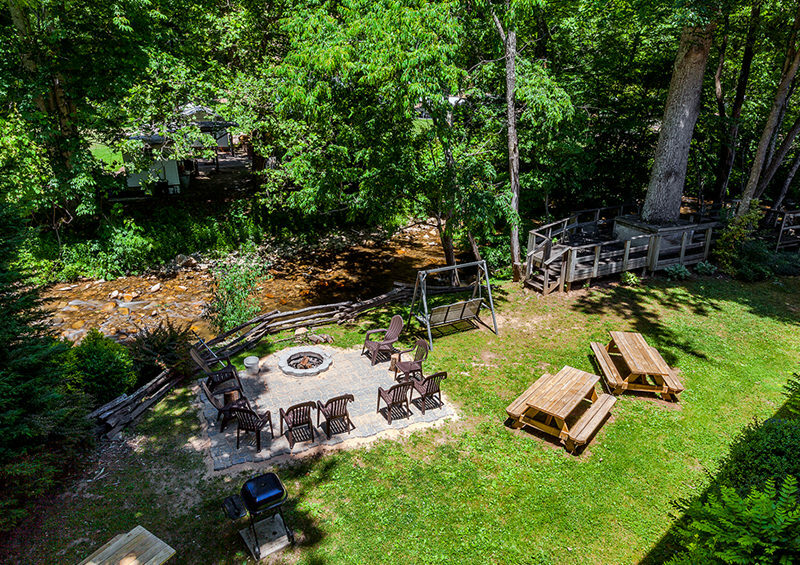 If you are planning your hot air balloon ride in the Smokies, you’ll want to stay somewhere with reasonable access to the ride. We know just the place! 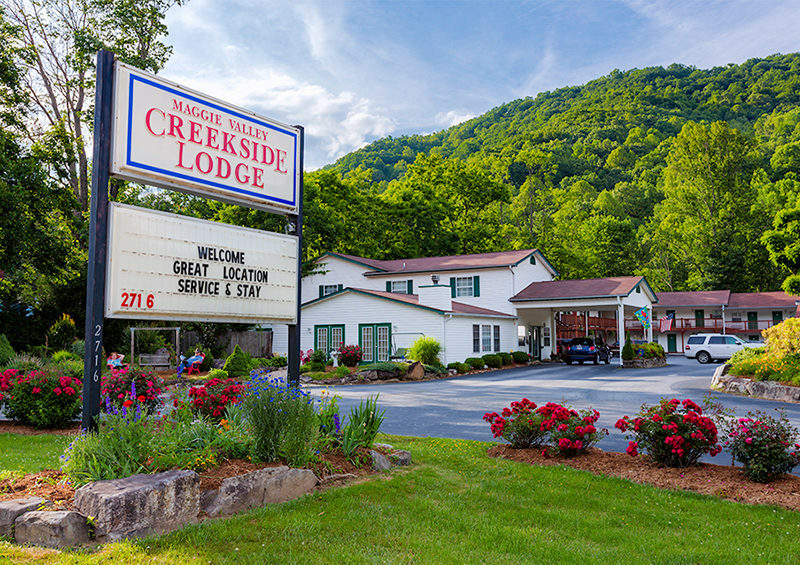 Creekside Lodge in Maggie Valley, NC is located just 30 minutes outside of Asheville, NC, and will welcome you with some good old-fashioned southern hospitality! 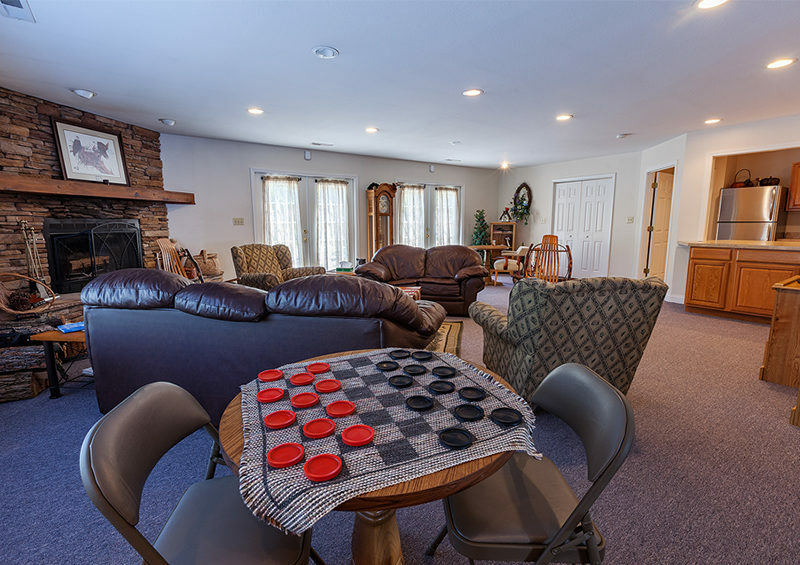 Creekside Lodge is family owned and operated and will make sure your visit is comfortable and cozy! 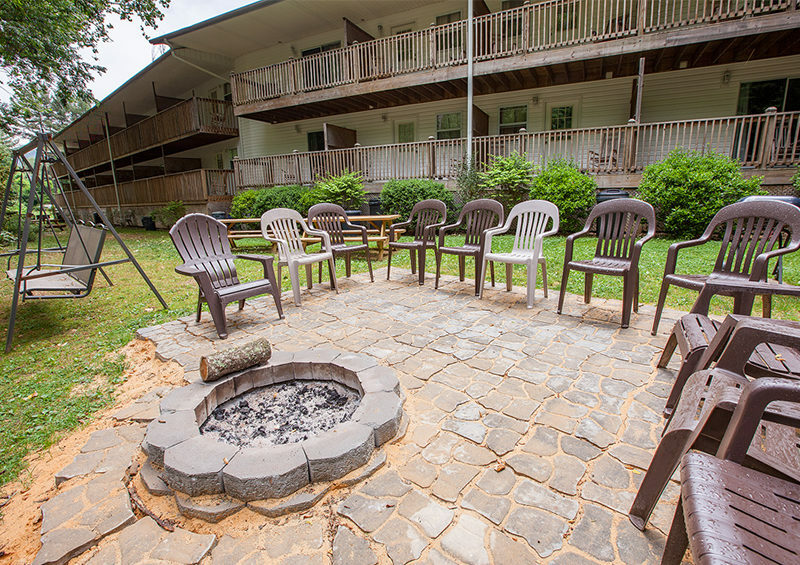 Call us today at 800-621-1260 and book your reservation, then get ready to make some memories in the Smokies!